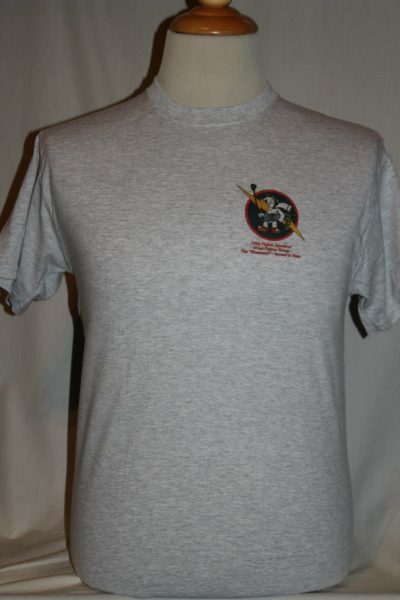 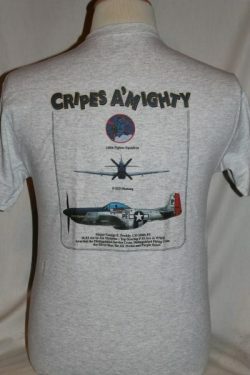 The "P51 Cripes A'mighty" shirt is a two sided print in the color grey. 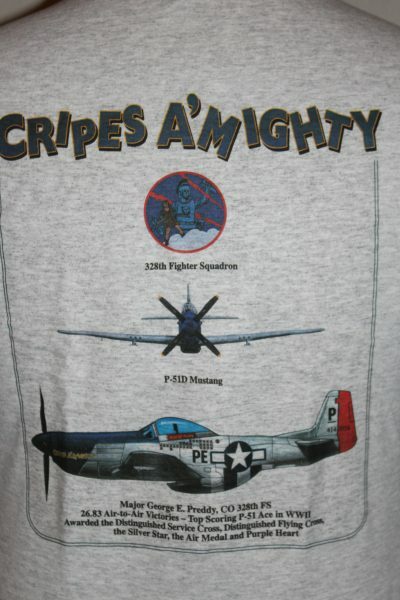 Front: Design: The 352nd Fighter Group symbol. 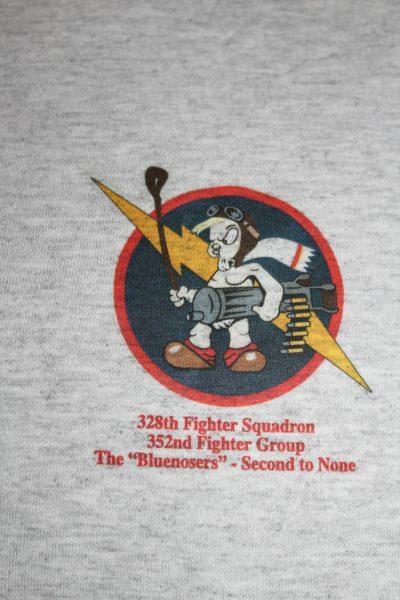 Nick named "The Bluenosers". Back Design: Major George Preddys P51D Mustang, and text.